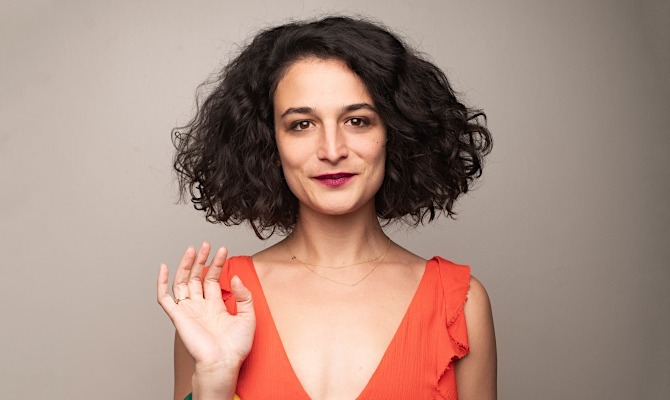 Jenny Slate is a stand-up comedian, actress, author, and creator. She recently starred in VENOM alongside Tom Hardy and is well known for her critically acclaimed performance in OBVIOUS CHILD which garnered her a Critics' Choice Award for "Best Actress in a Comedy." On television, she is beloved for her roles on BIG MOUTH, PARKS & RECREATION and KROLL SHOW. As an author, Slate co-created the children's book series, MARCEL THE SHELL WITH SHOES ON as well as the short film series which has been viewed over 30 million times. Slate's next book, LITTLE WEIRDS will be a collection of non-fiction, personal pieces and will be released by the Hachette Book Group in November 2019. Slate recently starred in the independent feature, SUNLIT NIGHT which premiered at the 2019 Sundance Film Festival and will next reprise her role and lend her voice to THE SECRET LIFE OF PETS 2, opening in June 2019. Slate previously lent her voice to the Academy Award winning animated film, ZOOTOPIA. You won't want to miss seeing her first hour special!